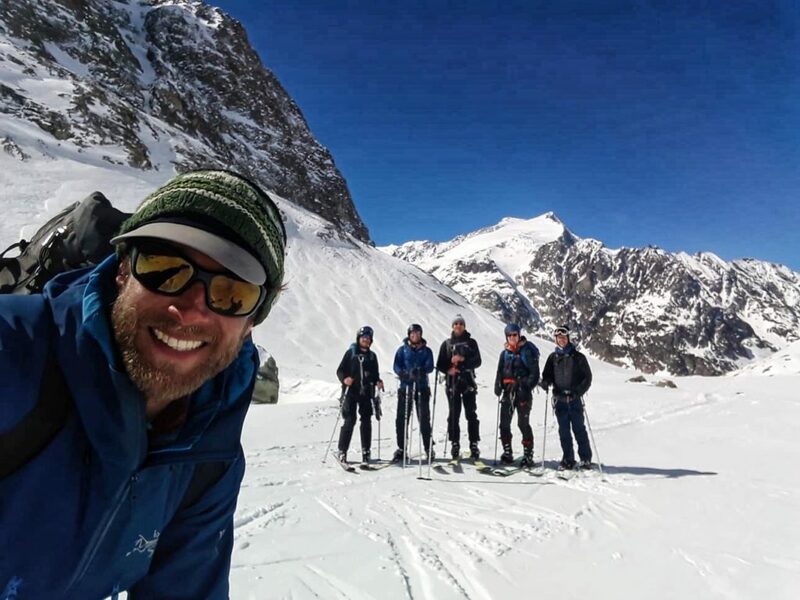 Some good stories and photos from our 2019 Haute Route team, who are flying home today after seven days ski touring around Chamonix and the Haute Route itself. Some super hot weather here in the alps the past few weeks, which is difficult to manage when touring up a sun trap valley in the afternoon. 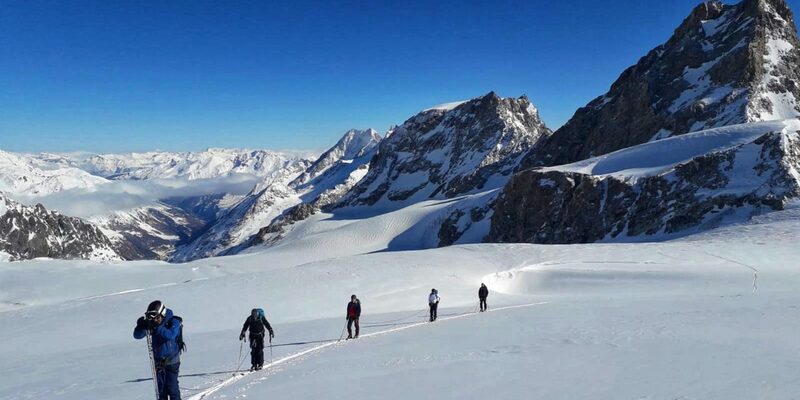 Guided by Neil, the team decided to turn back from the firts major climb of the Haute Route, the col du Passon. The heat was taking it’s toll and the time was slipping away. 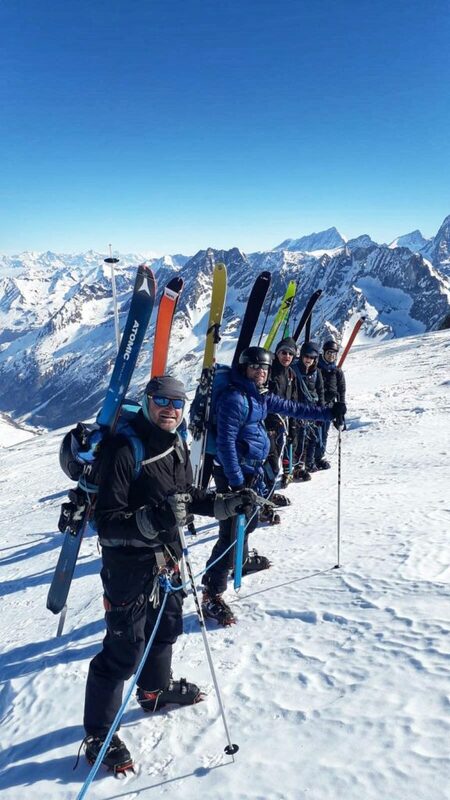 So a pro-active decision to turn around was taken and the team caught a taxi around to Verbier the next morning to continue the route from there. The next few days went smoothly, with early starts to avoid the heat. Across the Lac du Dix, over the Peigne and then to the Vignettes refuge. The final day was going to be a touch too much this year for the boys. 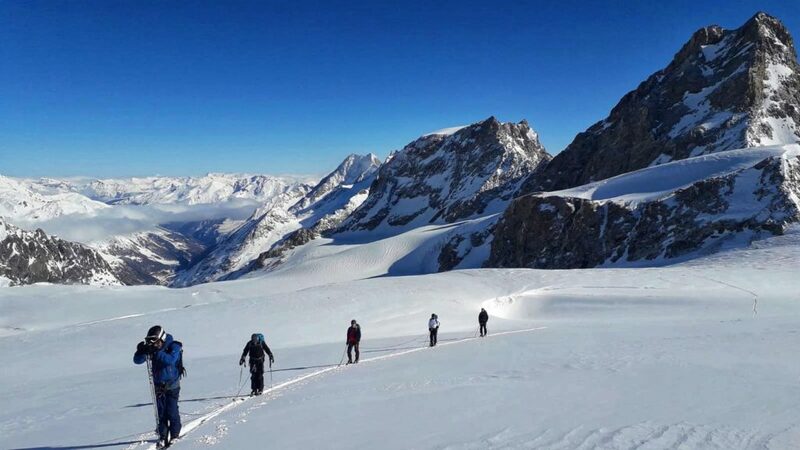 So a summit and then a long ski down to Arolla was the sensible option. 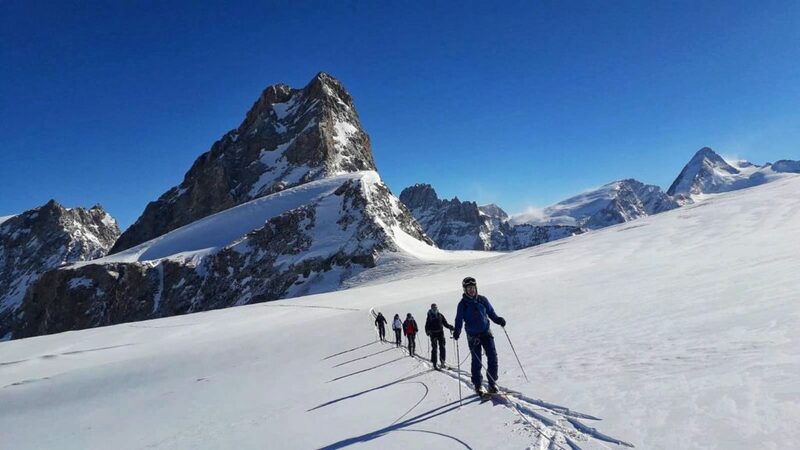 The final day of the Haute route down to Zermatt is a stunning ski, but quite committing and it’ll be there next year….. 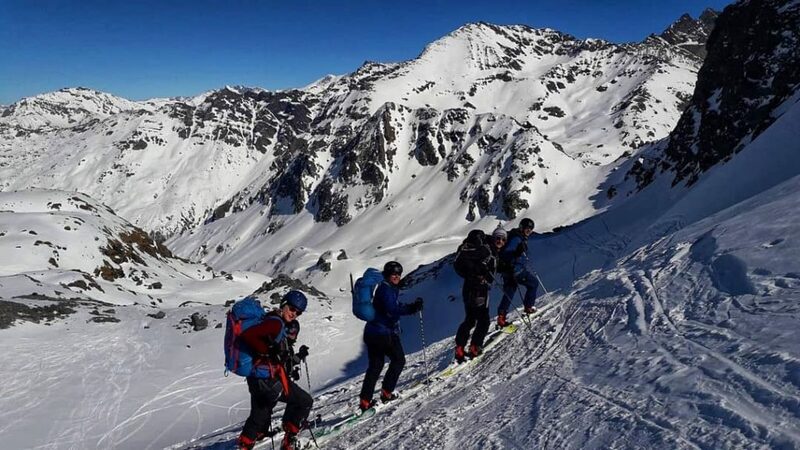 Skiing out from the Vignettes refuge. Col Eveque on the right. Hot work in the sun. 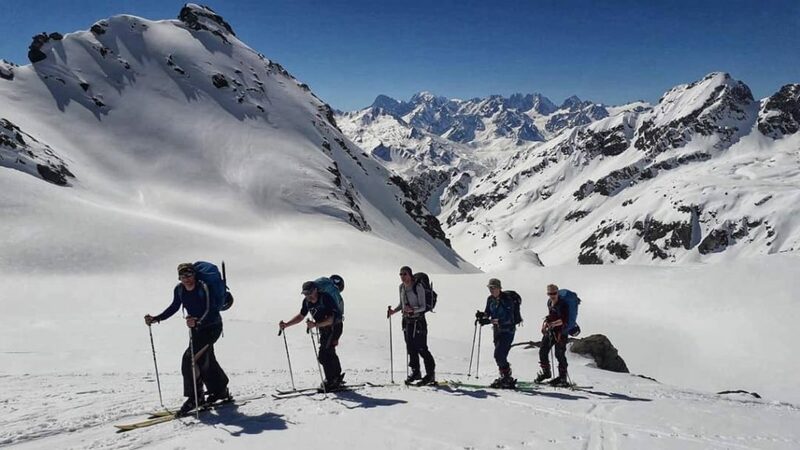 Verbier skinning on route to the Praflueri refuge. Roped up and ready for action. 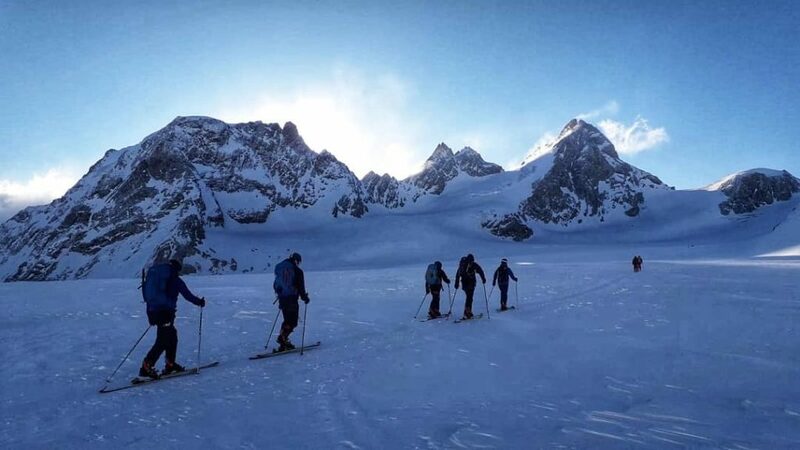 Over the Peigne du Arolla. 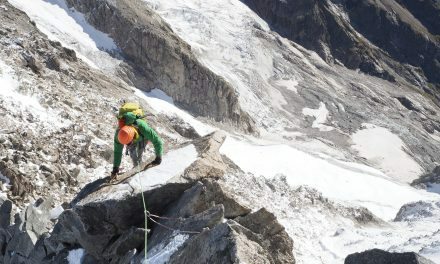 Often the crux of the Haute Route and a high peak in it’s own right. Skinning roped up after a windy night when the snow got blown around, diguising some crevasses that would otherwise be easy to spot.